says Mrs Valentine of the Oxfordshire home that her and her family have renovated since purchasing it two and a half years ago. Cottage flush casement windows with 36mm horizontal astragal glazing bars, finished in ‘French Grey’, manufactured in Engineered European Redwood. Cottage flush casement windows with 36mm horizontal astragal glazing bars, finished in ‘French Grey’ externally and ‘Off-White’ internally, manufactured in Engineered European Redwood. 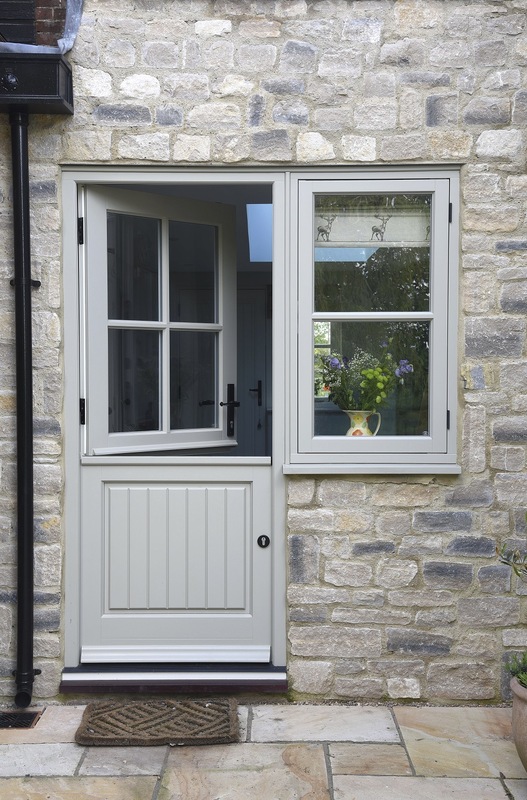 The family opted for a timeless finish with cottage flush casement windows, an entrance door, French doors and a stable door in a dual colour finish; ‘French Grey’ externally and ‘Off-White’ internally. 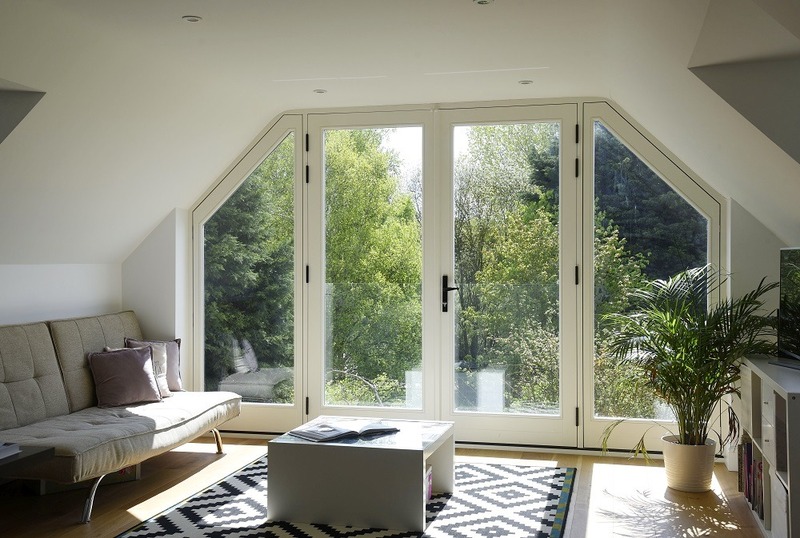 The homeowners described the house as robust and having good proportions, allowing for a sympathetic refurbishment that also involved extending the living areas along with the roofline for a third floor. It is on this new upper floor that the French doors have been put to great use on the Juliet balcony. The next stage in their project is to convert the annexe, giving it a barn appearance. French doors with angled sidelights, finished in ‘Off-White’ internally and featuring a Black Cottage handle. Cottage flush casement window with 36mm astragal glazing bars, finished internally in ‘Off-White’, paired with Satin Chrome Peardrop handles and matching pegstays. 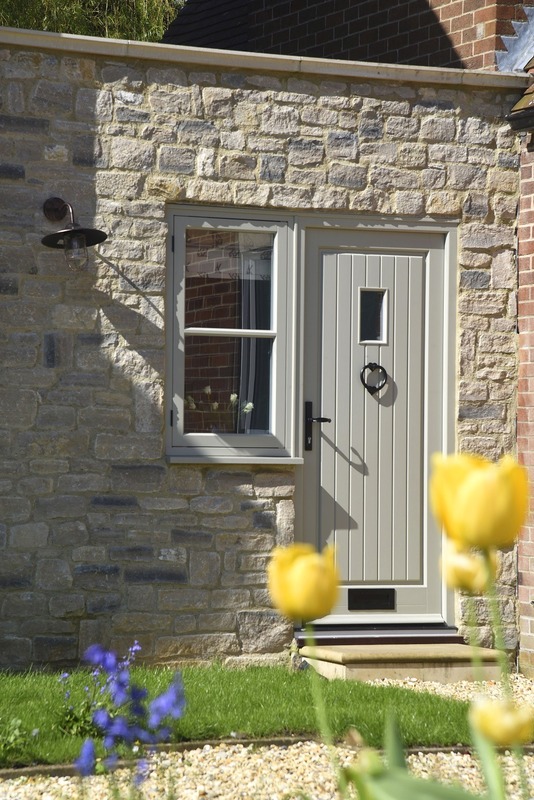 Stratfield stable door with 36mm astragal glazing bars, a ‘French Grey’ finish externally and ‘Off-White’ internally, accompanied by a Black Cottage handle. A flush casement window in the same finish is paired with the stable door. Staverton entrance door finished in ‘French Grey’ with a Black Cottage handle and matching letter plate (knocker sourced by customer).